Hi everyone! 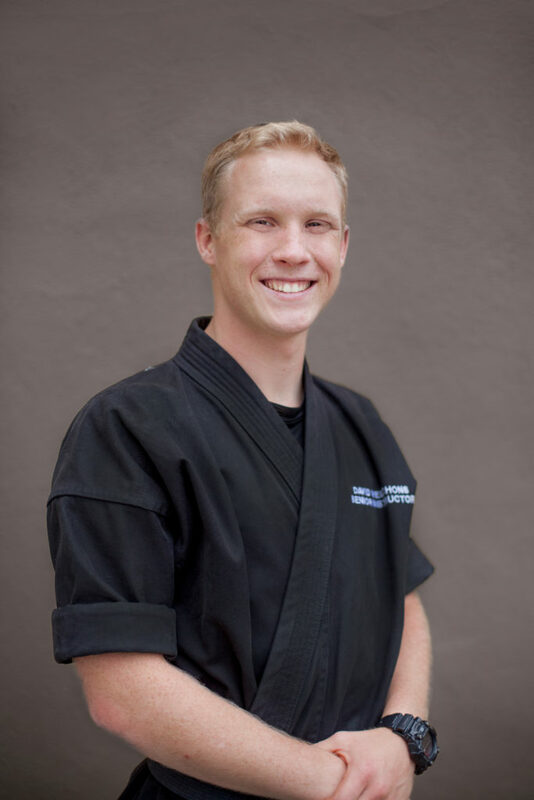 My name is Jared Smith, Senior Instructor of Swiftkick San Diego, and 2nd Degree Black Belt in Applied Martial Arts. I’ve had the privilege of coaching with Swiftkick since 2010, and been honored to play a role in our students’ training journeys. It’s my conviction that Martial Arts are not only beautiful and enjoyable, but hold inestimable value for each individual’s growth. They form a critical tool for tempering one’s character, and forming real-world confidence! 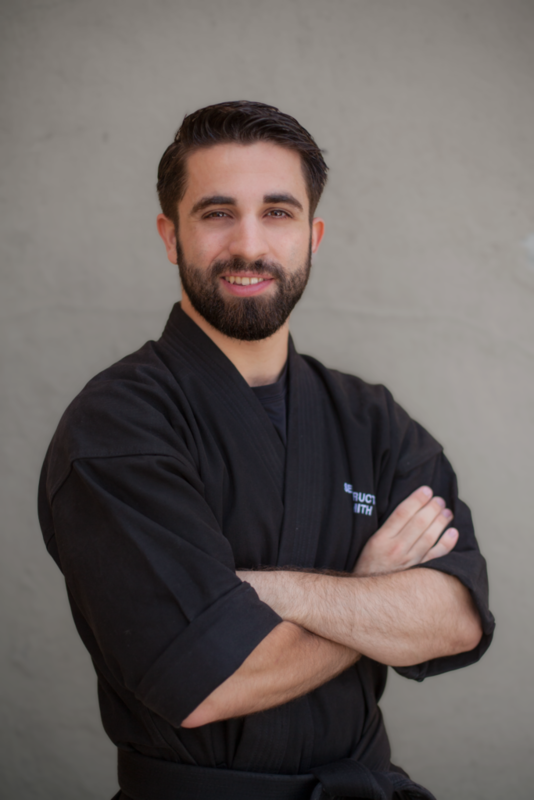 My own training background includes a decade of Boxing, Kickboxing, and Muay Thai, along with nearly 20 years of experience in the Japanese Sword, and in TaeKwonDo. Beside training, I love reading science fiction and fantasy. As an avid writer and poet, I’m typically found at the cafe writing (whenever not doing Ninja-Things). It continues to be my passion to bring the life-changing discipline of Applied Martial Arts to everyone in our Swiftkick family! 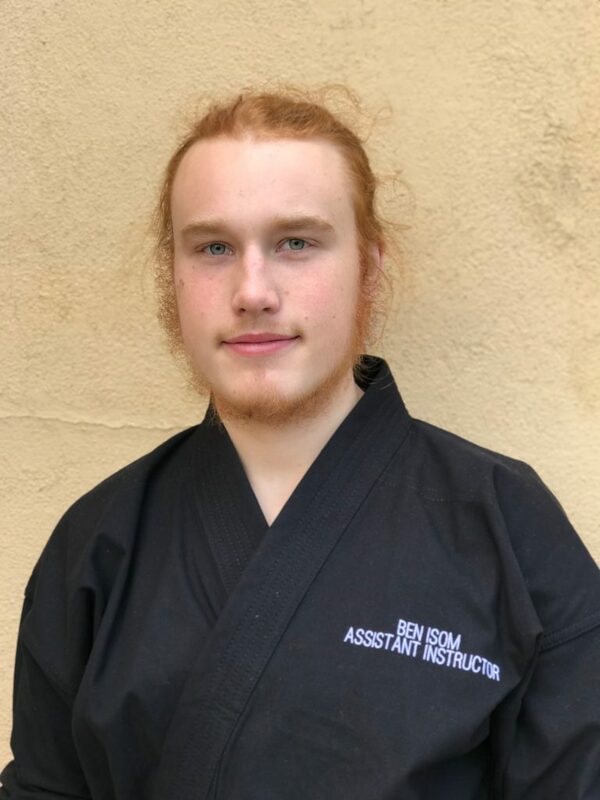 I’ve been practicing martial arts for 21 years in traditional, integrated, and now applied styles numbering more than 15 different styles. I greatly enjoy experiencing new disciplines and seeing how well they coalesce. For the past 2 years, it has been my pleasure to work for Swiftkick, not just widen and improve my own knowledge base, but to pass on what I have learned to future generations. Aside from the arts, I work on my Masters in Science in the field of Chemistry at SDSU, specifically in capillary electrophoresis separations. In the little free time I have, I’m an avid movie buff and outdoor enthusiast going hiking or camping when and wherever possible. My favorite thing about martial arts is its ability to provide balance both intrapersonally and interpersonally. When the mind and body are in sync, personal, social, and even political conflicts can be worked out more efficiently. The arts have an unifying power where this understanding can apply to large groups without the loss of individualism. I believe this balance has the power to change lives, especially those of children and by changing the lives of children, we can change the world. After watching her children have fun training in Martial Arts, she decided to train along side them. 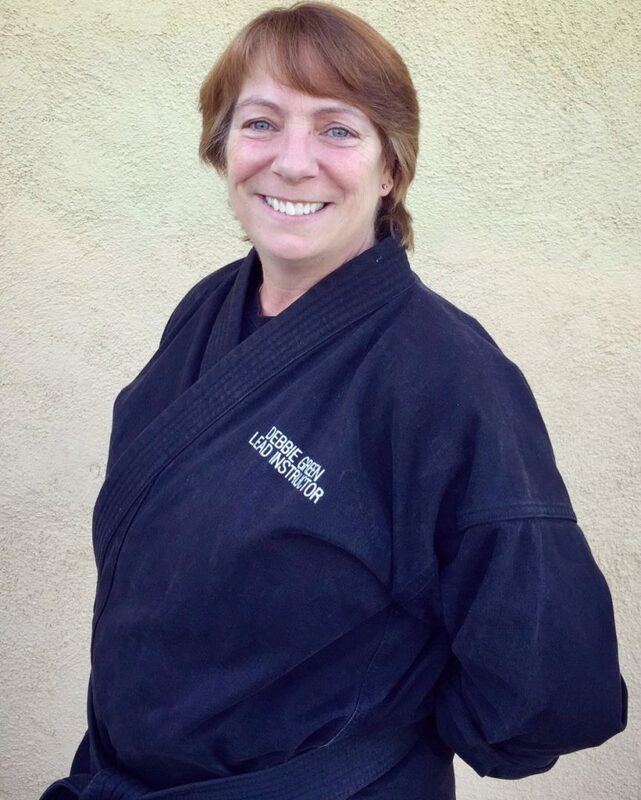 Mrs. Green attained the rank of black belt in Tae Kwon Do and has been training for 10 years. Her area of expertise is with the 3-5 year old age group, After School Enrichment Programs and students with special needs. Laura Merrill started training at SwiftKick in 2011 after watching her son develop in Mr. Smith’s class. She earned her black belt in 2017. Laura coaches the after school programs (asp) and she most enjoys seeing the kids continue their training in the studio to strengthen their skills. Laura is a fourth generation Realtor with eXp Realty. She has been in the business for over 25 years. I started my own training at Swiftkick when I was 8 years old, and have been coaching for a little over a year now. I love martial arts and believe that it is a great tool for learning self defense, important life skills, and physical fitness. My hope as a coach is to make a lasting positive impact on the lives of as many of my students as possible. When not at Swiftkick I am usually working on my truck or computer, or working toward pursuing a career in architecture. I initially became interested in martial arts from watching old martial art films and samurai flicks. What was a recurring pastime, and an appreciation of the art became a lifestyle of training my body and mind! I have been training the sword under Jared Smith from the time I could lift a wooden stick. I started training at Swiftkick when I was about 9. I began working at Swiftkick in September 2017, and have found teaching to be a true passion. My aim is to constantly foster growth through truth, kindness, and understanding. For there are more than just physical barriers in martial arts. These mental barriers, I think, are important to overcome. Not only to grow in the martial arts, but in life as well. On any given morning when I am not coaching, the chances are good that I am listening to music, lost in a book, or engrossed in writing. 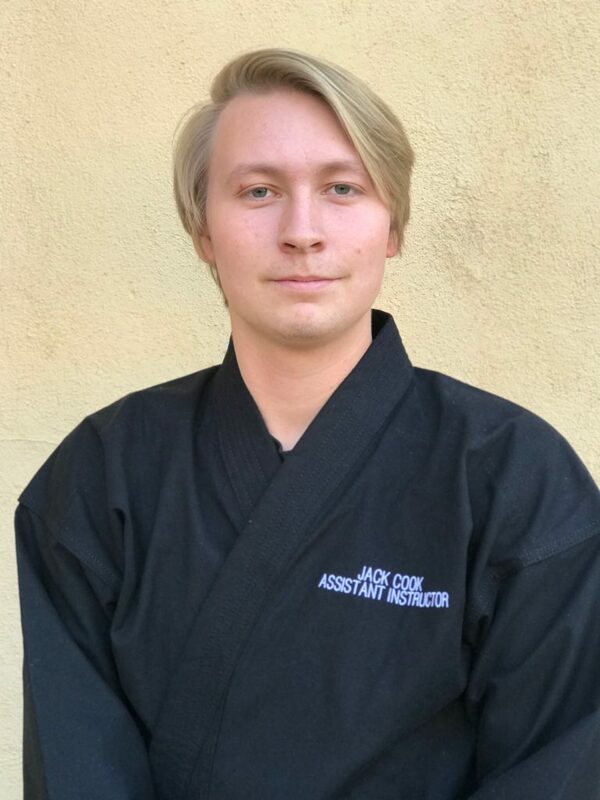 David Welchons has been training with SwiftKick since January 2008, was a member of the demo team and has achieved the rank of first degree black belt. He started Coaching in 2015 and is the senior coach in Carlsbad. In addition to martial arts he also enjoys biking, rock climbing, and other outdoor activities. “My favorite thing about martial arts is that there is no end to your training. There is always more to learn. It’s also a great way to keep active and stay in shape. Martial arts is something that I think everyone should do. It really teaches you to push through when things are hard, it is a great stress reliever, and it is a great workout. ‘Pain is weakness leaving the body. Hi all! 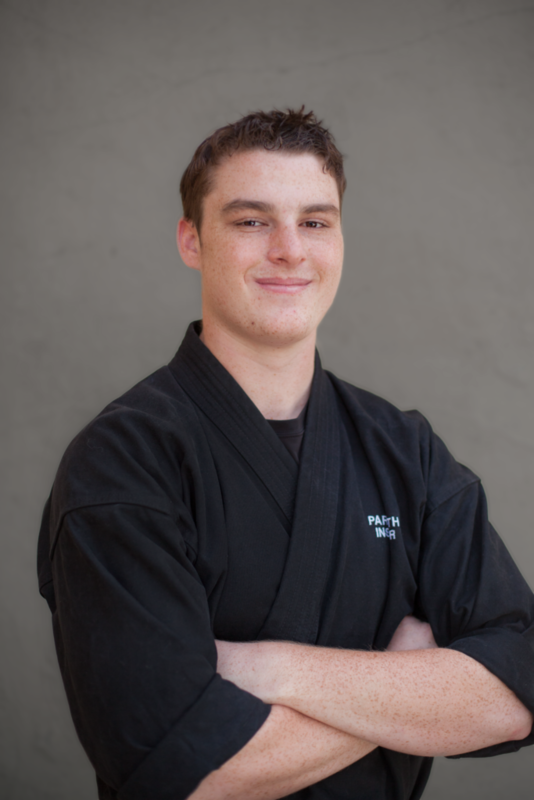 My martial arts journey started about 10 years ago in March 2008. Since I started I have been very active in the program. I was a member of the SwiftKick demo team and student leadership team. I worked my way up to the highest rank in the student leadership team before being hired as a coach, about two years ago. 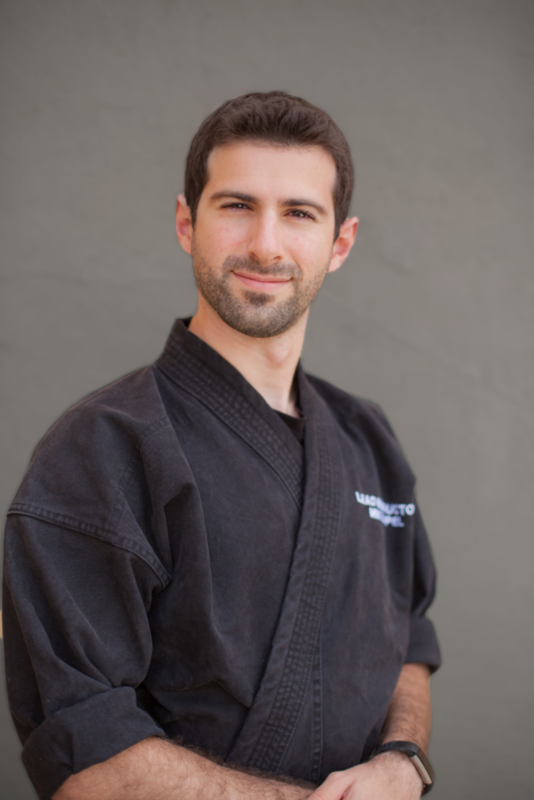 Shortly after becoming a coach I earned my first-degree black belt. I love coaching! Getting to be a positive influence on students in a world so full of negative influence is one of the most rewarding things that I get to do. I love watching as all the students grow in their martial arts as well as in their character. I know for myself, that martial arts has had a huge impact on my life. So now, getting to be that person who impacts the lives of the students after me, is amazing, not to mention a big responsibility, but very worth it. When I’m not coaching or training, I enjoy doing just about anything outside, such as biking, running, hiking, swimming, rock climbing, and especially camping. If I’m not doing that, you likely will find me working with my hands in some way or another. I keep busy with things like woodworking, gardening, or helping a friend on his farm. Hi everyone! I started my training with Swiftkick nine years ago, and more recently I have taken on coaching. 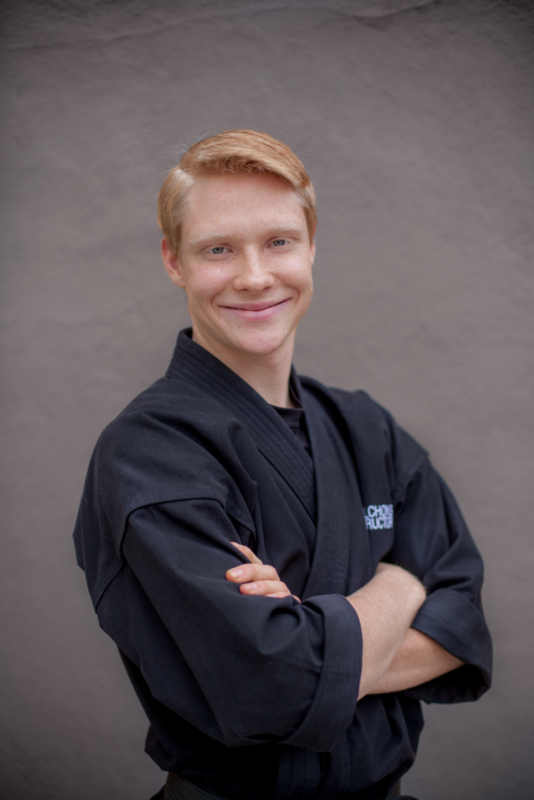 I especially enjoy coaching because it blends my love for martial arts and of working with children into one. Throughout the past years of training, I have had many moments of striving, and moments of success. Getting to walk with students through their journey, share with them what I have learned, and watch them have the same challenges and triumphs that I experienced, makes coaching a highlight of my week. 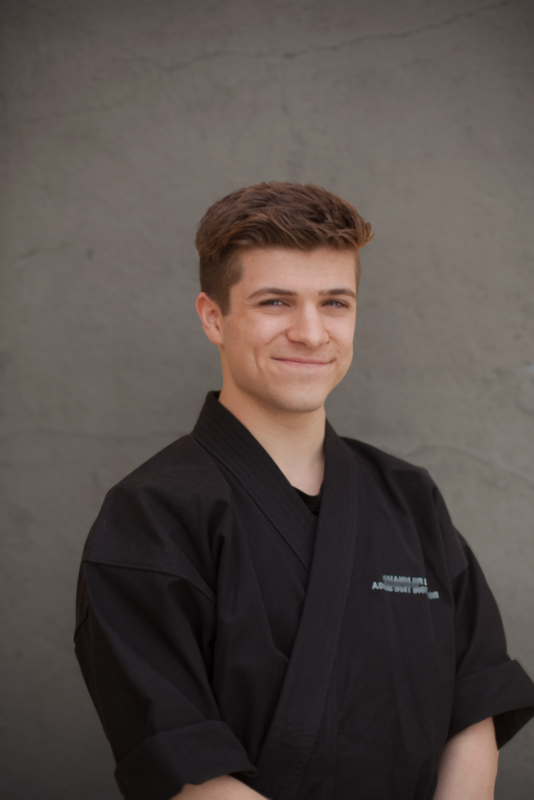 The mental, physical, and even emotional challenge of training the skills myself, teaching others, and learning from every day, makes for a dynamic, moving journey, and that is what I love about martial arts. On days when the studio is closed, I enjoy sticking my hands in the dirt to garden. I also might quilt, hike, or challenge myself with training my family dogs. To relax, I grab my camera and escape to the outdoors where I practice photography. Starting with Swiftkick when I was small and working my way through the belts and the student leadership program has taught me many invaluable lessons, kept me fit, and has given me a healthy way to engage my mind, body, and spirit. 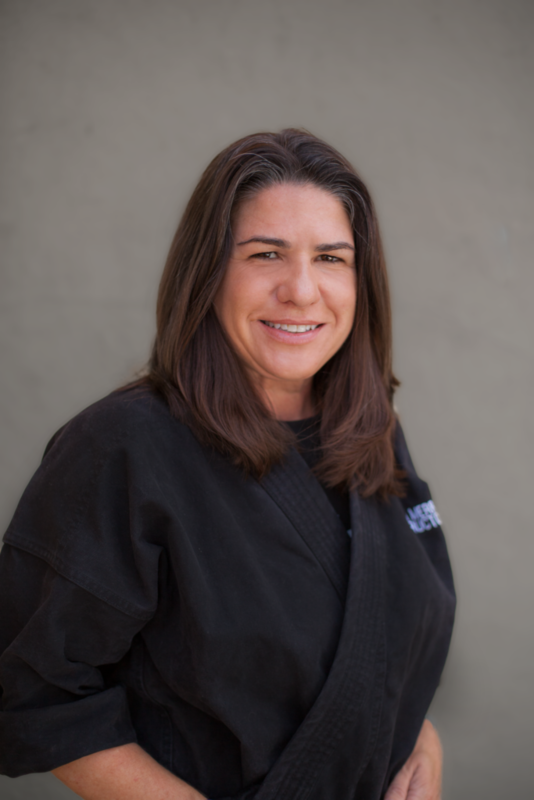 Sarah McCann has been a martial artist for seventeen years and has been working at SwiftKick for six months. She enjoys every moment of being a coach! Sarah has been competing in Taekwondo since the age of eight, has participated in multiple demo teams and holds a second degree black belt. 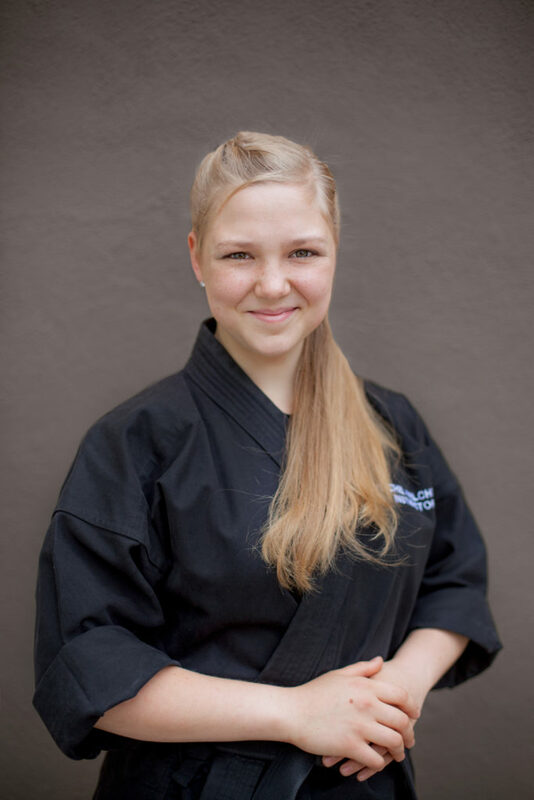 Her favorite thing about martial arts is that it empowers the individual to dream big and accomplish their goals all while staying physically, mentally, and spiritually fit. 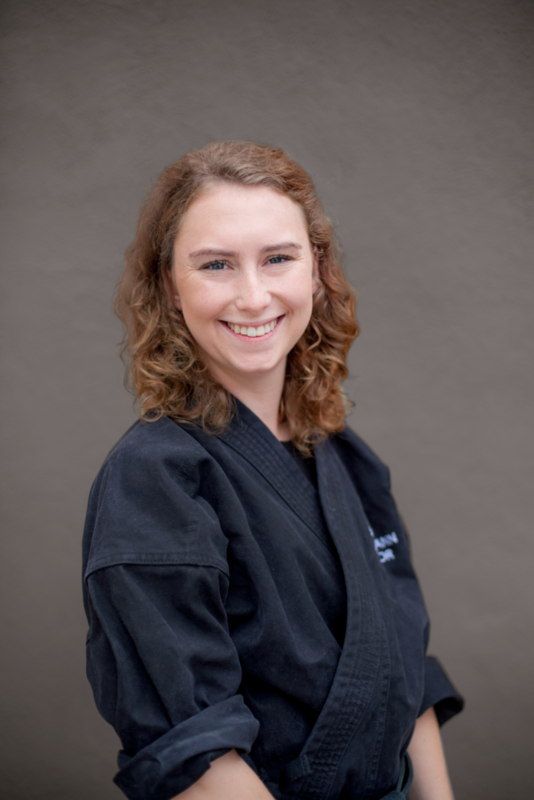 She loves seeing individuals grow in the area of self defense and martial arts and feels honored that she gets to be a part of our student’s education and journey. On her free time you can find her camping, hiking, watching baseball or cheering on the SDSU Aztec Football Team. 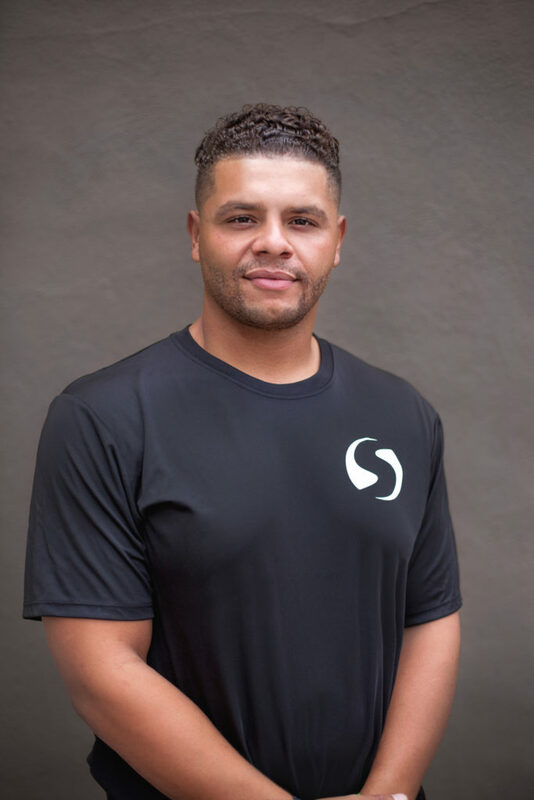 Hello, My name is Antoine Blake, and I am proud to say that I am a new coach here at SwiftKick Martial Arts. I am a former Active Duty Marine, still serving in the Marine Corps as a reservist. Originally I am from San Francisco, Ca were I began boxing at the age of 14. Later in years, during the end of my high school career I began training in Muay Thai and Brazilian Jujitsu. While in the Marine Corps I went through and completed a rugged course to become a Martial Arts Instructor in the Marine Corps Martial Arts Program, otherwise known as MCMAP. MCMAP is comprised of may different disciplines such as Judo, kickboxing, Muay thai, jiu jitsu, Krav Maga, etc. I have always been a believer in the notion that one of the keys to life is achieving balance. Martial Arts I believe is a great tool among many. Having a strong mind inspires discipline, having a strong and fit body inspires confidence, and wrapping the two together along with the willingness to keep growing sparks an ambition for us to believe that we may accomplish anything we set out to do. Martial Arts has given that ambition to many people including myself. As an instructor, it is not only a joy teaching what I love to do, but It is also a pleasure meeting new people, and exploring different backgrounds. For many reasons, I believe it makes us instructor better at what we do.